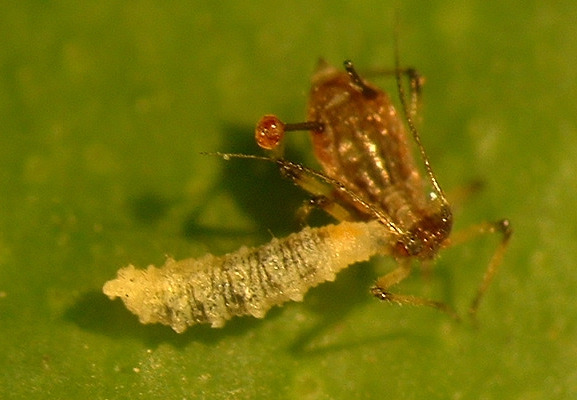 Beneficials are insects and pathogens that kill crop pests, they are also referred to as 'natural enemies' or 'biological control agents' of pests. In many seasons they are important at suppressing pest populations below damaging levels. The information below provides descriptions and photos of many of the beneficial species present in broad-acre cropping. Predators - mainly free living insects that feed on a large number of pests (prey) during their lifetime, for example, ladybird beetles. Parasitoids - creatures that feed on or in the body of pest (the host) and are free living as an adult, for example, aphid parasitoid wasps. Insect diseases - these include bacterial, fungal and viral infections of insects. Beneficials can decrease pest populations so that insecticide applications are not needed. 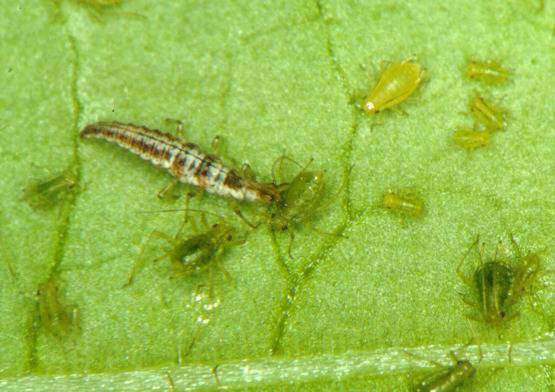 For instance, parasitoid wasps can decrease aphid numbers to below threshold. It is important to be able to recognise beneficials, and what species they attack. The description of all beneficials insects known to eat or parasitise pests of canola, cereals and pastures are found below. Bacterial, fungal and viral diseases can kill pests and control outbreaks. These have been known to suppress aphids and caterpillars to below damaging thresholds. Infected individuals can be difficult to detect. Insects with 'fur' on the outside of their bodies suggests a fungal infection whereas caterpillars hanging head-down on stems suggest a viral infection.